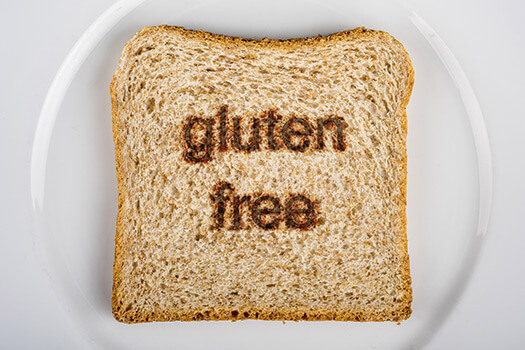 Celiac disease is an autoimmune disorder that causes a serious inflammatory reaction when a person eats gluten. The digestive issues that accompany celiac disease can make it difficult for seniors to get the nutrition they need. These seven foods are a great way to give a senior with celiac disease proper nutrition while still meeting dietary requirements. Just make sure to choose unprocessed items because processed, precut, and frozen foods are often contaminated with gluten. Starchy potatoes are a natural side dish for seniors who cannot eat bread, tortillas, and rolls. When eaten with the skin on, potatoes are an excellent source of nutrients. They are particularly rich in potassium, which also lowers blood pressure. Celiac disease is one of the many health conditions aging adults are susceptible to. Seniors can face a variety of challenges as they age, many of which can be mitigated with the help of professional in-home caregivers who provide high-quality home care. Oshkosh families trust in Home Care Assistance to help their elderly loved ones age in place safely and comfortably. Fish provide an excellent source of omega-3 fatty acids that protect against heart disease, and they are naturally gluten free. You can easily substitute breadcrumb toppings and flour batters for ground-up nut toppings and cornmeal batter when preparing fish. Some of the best fish options for seniors include salmon, tuna, sardines, or mackerel. Dairy products do not typically contain gluten, and they are a great source of calcium for seniors concerned about osteoporosis. Yogurt is a particularly great form of dairy because it contains beneficial probiotics that help people with celiac disease digest properly. Make sure to read the label because some brands use stabilizers and thickeners that contain gluten. This grain from South America is gluten free, so seniors with celiac disease can get enough whole grains without ingesting gluten. In addition to being a great source of fiber, quinoa also has an impressively high amount of protein per serving. It can be eaten as a hot side dish, or the grains can be chilled and mixed into salads. Seniors with celiac disease may need assistance with meal preparation and other daily tasks. If your aging loved one needs occasional help with bathing, grooming, cooking, or other basic household tasks, or if you need time to attend to important personal matters, reach out to Home Care Assistance, a leading provider of live-in and respite care. Oshkosh seniors can maintain their independence while living at home with the help of our reliable respite caregivers. All fruits are gluten free, but raspberries are a particularly healthy option for seniors. Just one cup of these berries contains half the vitamin C seniors need in a day. They are also packed with antioxidants that reduce inflammation. Beans are versatile and can be cooked and served in many ways, so it is easy to find a dish with beans that satisfies even the pickiest of eaters. These legumes provide heart-healthy fiber and nourishing protein to seniors with celiac disease. They are also soft enough to be eaten by seniors with dental conditions. Oatmeal is one of the best gluten-free cereals available. Seniors with celiac disease often have difficulty getting enough fiber in their diets without eating common whole grains, so oatmeal is a great way to include more heart-healthy fiber. You can serve oatmeal as a hot cereal, or bake it in the oven to make a tasty granola. Celiac disease can affect your loved one’s quality of life and make daily tasks difficult to manage. Living with a serious health condition can make it challenging for seniors to age in place. However, they can maintain a higher quality of life with the help of professional live-in care. Oshkosh seniors can benefit from assistance with meal prep, bathing, transportation to the doctor’s office, medication reminders, and much more. To create a comprehensive home care plan for your elderly loved one, call Home Care Assistance at (920) 710-2273 today.